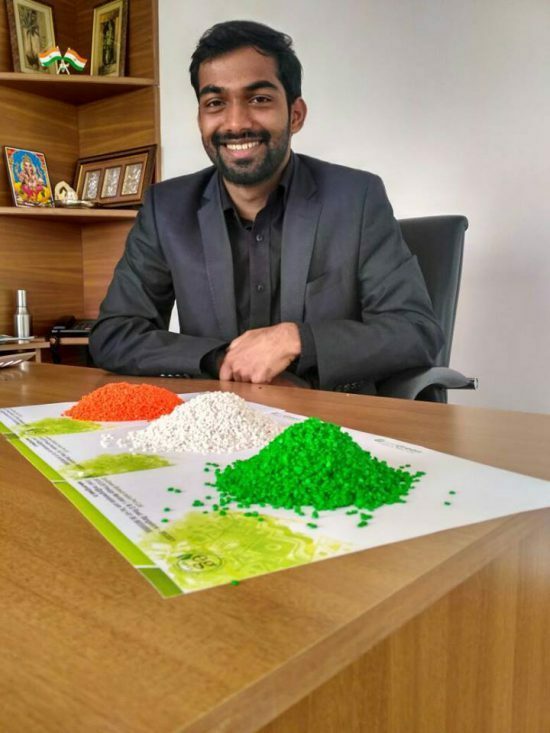 Ashwath Hegde, a 25-YO young entrepreneur who brought a revolution in the plastic industry with his innovative idea that is his company Envigreen Biotech India which produces 100 per cent biodegradable plastic bags. Not only these bags are Eco-friendly but also harmless for animals, birds, and insects if decomposed as it is. In 2012, when Karnataka government banned the plastic bags forever, at that time after four years of research, a new idea came into existence. The idea was to manufacture 100 per cent organic bags which will be non-toxic, Eco-friendly, and biodegradable. Is not this concept sounds strange? Yes, it is. One cannot imagine harmless plastic bags. However, the young NRI entrepreneur did this. Since childhood, I am also hearing the side-effects of plastic bags, when my doctor uncle used to tell me the presence of chemical components in eatables. He always asked me not to have such products. In fact, he threatened me many times with an injection along with a big syringe in his hand so that I could not have eatables which could harm my health. Think about this, if these eatables hurt us that much, then how dangerously they would damage the nature. That is why avoid utilising plastic bags to save the environment and humanity. No doubt the kits made up of cloth, and other materials are expensive so, everyone cannot afford them. However, now you need not worry about the cost much. As the plastic bags manufactured by Envigreen are only 35 per cent costlier than regular plastic bags, but 500 per cent cheaper than bags made up of other organic materials. I believe an up-rise of 35 per cent in plastic bags is an affordable solution for everyone in comparison to buying bags made up of expensive stuff. A regular bag costs you around rupees two; whereas, the Envigreen bag costs around three rupees. The bitter truth is a casual bag is not an Eco-friendly solution to the significant problem humankind and nature are facing these days. So, think about the environment and as a budget-friendly option joins in hands with Ashwath Hegde who has given a brand new definition to the plastic bags with his brilliant idea of producing bags using ingredients such as potato, tapioca, vegetable oils, and banana. So, this is my coverage on the young NRI entrepreneur Ashwath Hegde who made his name in the industry with his creative idea. If you like this story, share your valuable feedback in the comments section. Also, share this write-up among your friends, family, and relatives to spread a word around the world. Find out more such inspiring stories on this link. Previous Does Skills Lead to Knowledge or Knowledge Leads to Skills?